Over the past five years, the number of truck crashes has increased by 20% in the United States. Any crash that involves a commercial truck requires a special investigation to determine the cause. Many of these crashes can create severe injuries to the parties involved in the crash. Damages can include lifelong disability, exorbitant medical bills and, sometimes, paralysis or death. 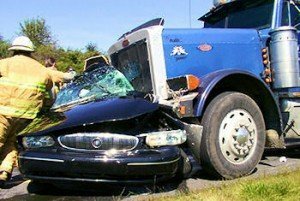 Importantly, unlike car crashes, truck crashes often have multiple parties that may be liable for the damages. There are a host of laws and regulations that affect how truck crashes are to be handled by the parties involved. Truck crashes involve more than just state laws. These collisions are regulated by federal laws and regulations as well. The liable parties could include the trucking company, the owner of the truck, the manufacturer of the vehicle, or other parties associated with the truck driver. Under the current federal laws, a trucking company may be responsible for damages caused by their truck drivers. Additionally, these parties have insurance companies who assess damages and provide financial liability support. The investigation starts shortly after the crash. One of the major factors that should be included in the investigation is the number of hours the driver was on the road. Fatigue and exhaustion often contribute to truck crashes, and unfortunately, truck drivers often violate hours of service regulations in order to meet deadlines. In some cases, an expert will have to be hired to examine the truck and/or the black box data. Trucking companies and their insurance companies will make sure they investigate the causes of the crash. Avoiding liability and paying out compensation will be the basis for their decisions. However, reviewing the trucking company’s past or present compliance failures can provide additional support for your case. Within a short time period, what may seem like a clear-cut matter to you can become quite complex. 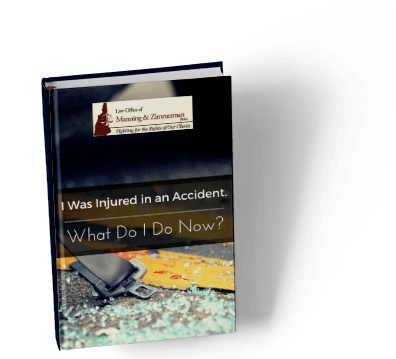 With the complexity of the liability in these accidents, it is important for an individual injured in such a crash to consult with an experienced New Hampshire injury attorney. The experienced attorneys at Manning & Zimmerman Law will understand the common reasons for truck crashes. We can help to determine whether there are multiple parties who can be held liable for your injuries. For a free consultation, contact the NH personal injury attorneys at the Law Office of Manning & Zimmerman PLLC. We may be reached at (603) 671-3156 or by email at info@MZLawNH.com. We may also be contacted by using the “contact us” or chat feature on our website.